The Staples® Hype Highlighter features an ergonomic design, providing firm grip and flexible use. Equipped with a chisel tip that can draw a line varying from 2.0 to 5.0 mm width, these highlighters fulfil your requirements of drawing thin and broad lines. 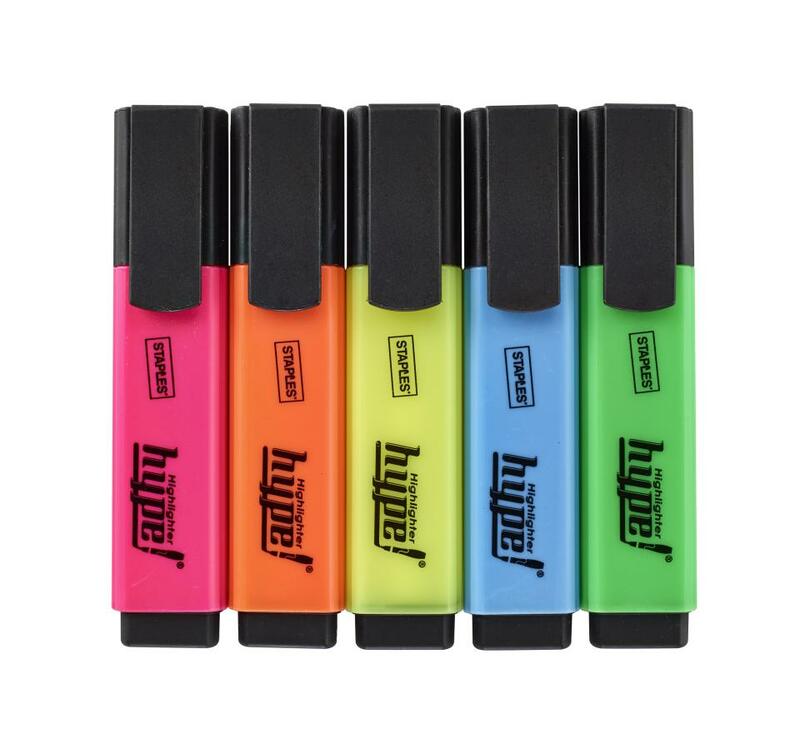 The fluorescent, see-through colour of this Staples® highlighter pack ensures that the highlighted and informative details can grab attention instantly. Its hood comes with a clip for secure and convenient function.